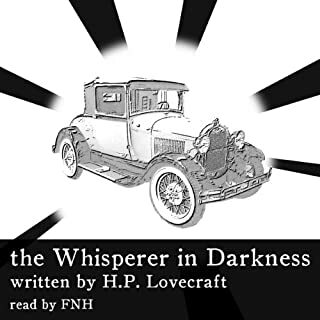 FNH Audio presents a complete and unabridged reading of H.P. 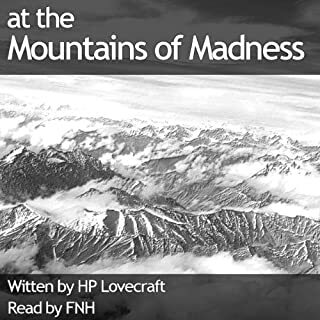 Lovecraft's famous story "At the Mountains of Madness". The story is related by one of the two survivors from a polar expedition. Unlike other polar explorers who may have died from cold, starvation or simply getting lost, in this story things are somewhat different.The survivor is desperate to prevent a new polar expedition because there are "beings" there, strange murderous beings. 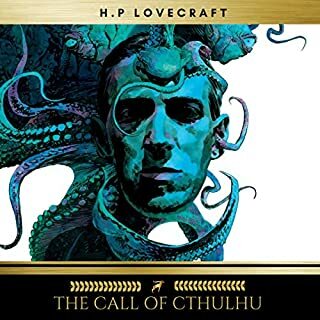 Hailed by literary critics as the inventor of modern-day horror, H. P. Lovecraft is the cultivating force behind such modern writers as Robert Bloch, Wes Craven and Stephen King. 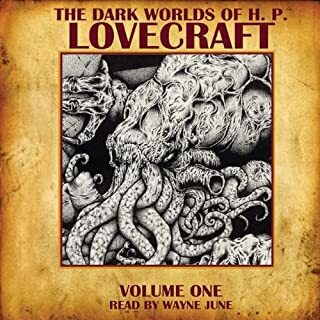 The Dark Worlds of H. P. Lovecraft, Volume One is a collection of his best-known tales narrated for the first time by Wayne June and includes both "The Dunwich Horror" (published in the summer of 1926) and "The Call of Cthulhu" (published in the summer of 1928). 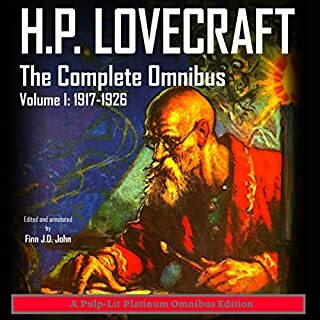 The perfect H. P. Lovecraft title to follow on from 2010's At the Mountains of Madness, and the only HPL title not to appear in a periodical! 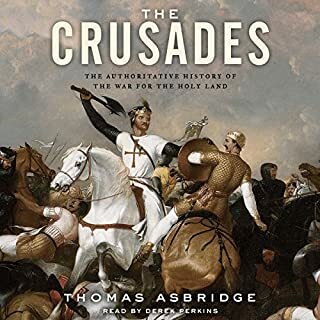 Perfect also because it is split in to 5 distinct chapters...ripe for abridgement into five half-hour episodes! The Shadow Over Innsmouth was written by H. P. Lovecraft in 1931 and is the only one of his works of fiction not to have initially been published as part of a periodical. 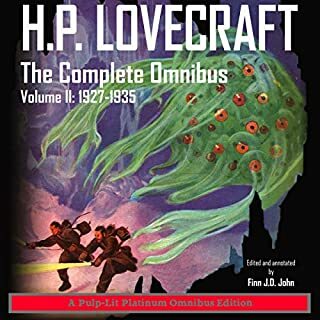 It continues HPL's Cthulhu Mythos, featuring townspeople worshipping the elder sea god Dagon and mentioning the mysterious Shoggoth creature of his other works. Howard Phillips "H. P." Lovecraft (August 20, 1890 - March 15, 1937) was an American author of horror, fantasy and science fiction, especially the subgenre known as weird fiction. 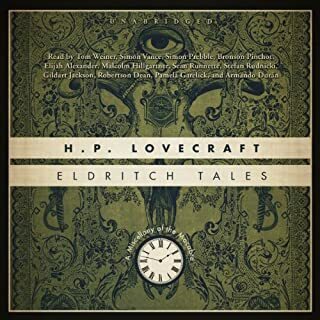 As early as the 1940s, Lovecraft had developed a cult following for his Cthulhu Mythos, a series of loosely interconnected fiction featuring a pantheon of humanity-nullifying entities, as well as the Necronomicon, a fictional grimoire of magical rites and forbidden lore. His works were deeply pessimistic and cynical. 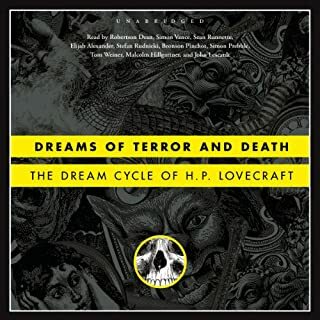 Although Lovecraft's audience was limited during his life, his reputation has grown and he is now regarded as one of the most influential horror writers of the 20th Century. 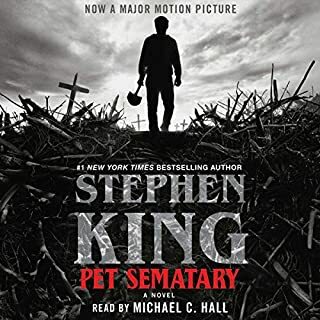 Stephen King called him "the 20th century's greatest practitioner of the classic horror tale." This 2011 adaptation comprises five episodes, originally aired on BBC Radio 4 Extra, once again read by the superb Richard Coyle and featuring music by acclaimed composer Jon Nicholls. The series is offered here in exclusive extended edition. Love Lovecraftian stories, timeless as ever. Lovecraft writes wonderful stories. I'm being pulled deeper and deeper Into his offerings. Maybe one day I will turn into something that can worship the others undeserving as I am. Absolutely excellent execution from Lovecraft and Coyle. I would have preferred a lot more sound effects but it was still engrossing. The story is very strange, a bit confused, but ultimately the narrator does it great justice with a great reading. 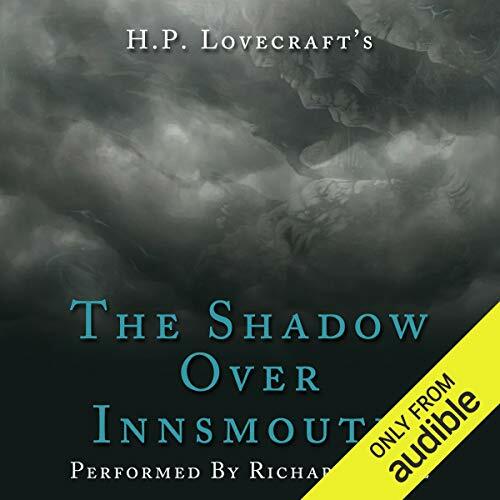 If you're looking for something to get your heart pumping The Shadow Over Innsmouth will do the trick. This is a fairly short story so it's a good listen for in the car. 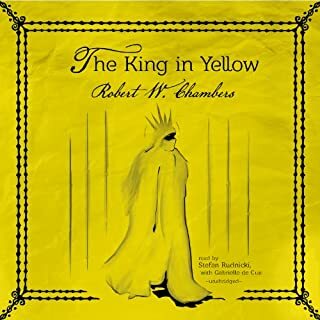 Fascinating story told in a audio drama manner. What made the experience of listening to The Shadow over Innsmouth the most enjoyable? 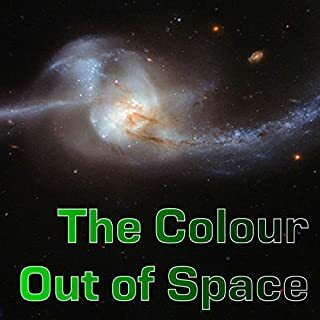 What made this audio drama enjoyable was the fact that this is yet another very well crafted story by H.P. Lovecraft. A story that is also wonderfully produced and narrated by Richard Coyle and company. 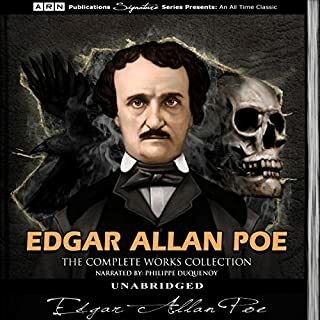 It is voice acted in many parts alongside the narration and every part is a fascinating joy to listen and imagine in your mind IMHO. There are also well done sound fx's and background music that is tastefully weaved into the narration acting which is also used to create and set the mood and atmosphere for the story and setting. However, these audio fx sounds and background music never overshadow the story itself or the voice acting itself. In other words, they are well done in a way so that they only lend to the atmosphere created by the story and narrator. Of which, Richard is a great voice actor and his voice is well suited for these types of stories. As you can tell I'm a fan of his work here and with another HP Lovecraft story he narrated called the "At The Mountains of Madness". 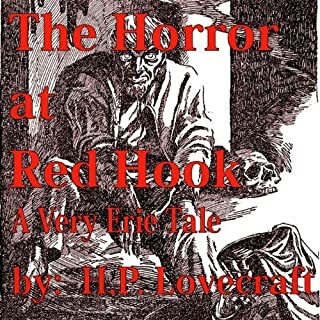 What other book might you compare The Shadow over Innsmouth to and why? 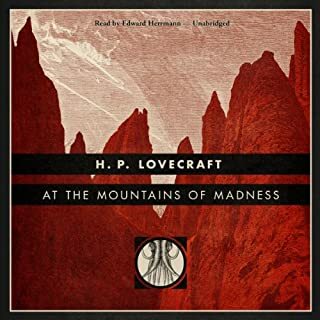 "Over the Mountain of Madness" another H.P. Lovecraft masterpiece. The version that was also narrated and voice acted by Richard Coyle. The scene on the docks when the old town drunk in the story is "spilling the beans" on what he knows after the main character shares a bottle of alcohol with him. This scene gives a tremendous amount of background lore about the wonderfully chilling Cthulhu mythos that H.P. 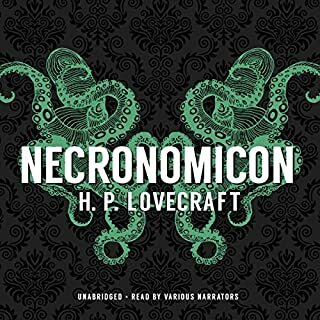 Lovecraft artfully and originally crafted into what we know call the sci-fi horror genre. Yes. 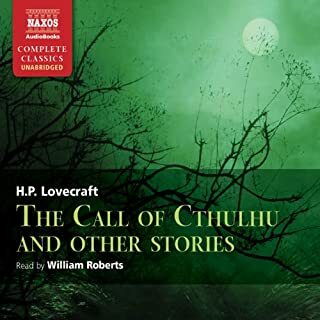 It's almost impossible to stop listening to this audiobook/drama once you start down that grim, dark Lovecraftian path of Cthulhu dark intrigue, horror and suspense. If you pick this story up then do yourself a favor and also pick up the companion story called "At the Mountains of Madness" which is also read by Richard Coyle.